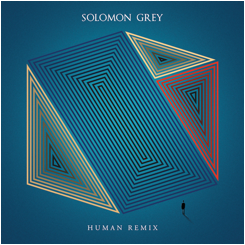 Following on from their new album ‘Human Music’, released back in February, London production duo Solomon Grey have now returned to deliver a collection of new reworks on their latest EP ‘Human Remix’. 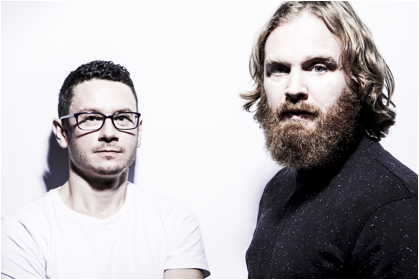 Featuring remixes from Little Dragon, Nightmares On Wax and Alex Somers, as well as the unreleased secret bonus track ‘Home’, the pair have handpicked their favourite new versions of their remix catalogue and are now unveiling them as a special release via Mercury KX. Possibly better known for their off-kilter electro-pop Little Dragon’s take on the lead single ‘The Game’ sees adopt a far more dancefloor-ready approach. With its pounding beat and saxophone-like bassline, their version takes the original in a whole new direction and transforms it into a funk-filled remix from start to finish. Nightmare On Wax then takes on ‘Wonderful World’, stripping away much of the initial vocals in the process and aiming to stretch out the original material, turning this cut into a far more progressive affair. With a light but bouncing pace, his use of minimal percussion and short-looped basslines allows the atmosphere to shine through on this reimagining. The final remix on this package comes from Alex Somers, an artist better known for his work alongside Sigur Rós and also for television scores on ‘Black Mirror’ and ‘Captain Fantastic’. Somers’ love for the ethereal and delicate side of music has allowed him to see a true beauty in the single ‘Elements’. Taking select parts of the original recording and reinventing them into an experience that builds to a big crescendo.